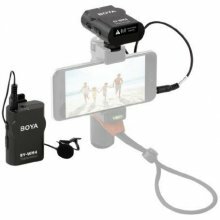 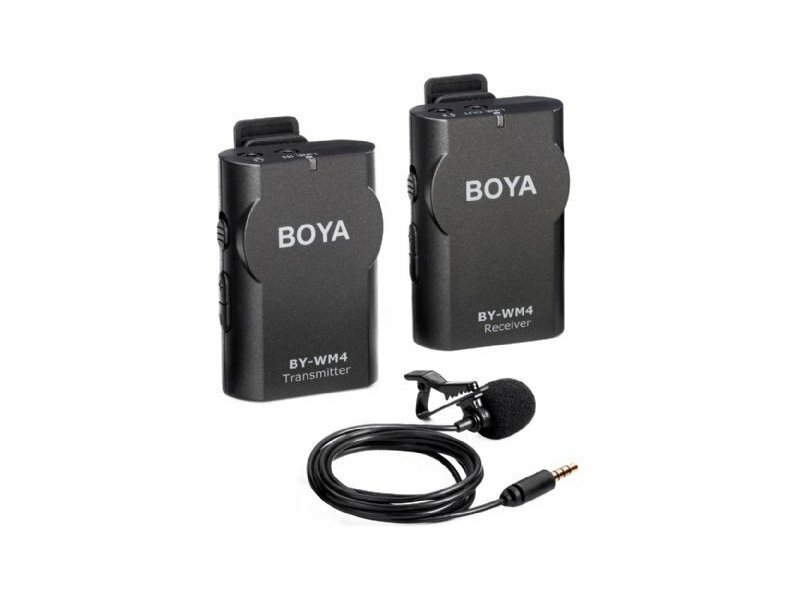 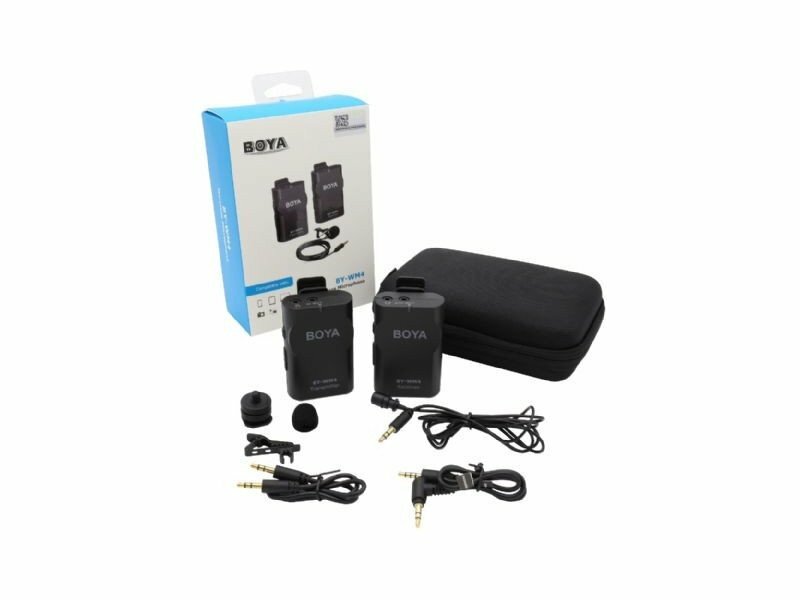 Boya's BY-WM4 is a compact wireless microphone set, which allows you to send the sound of the lavalier microphone wirelessly to the camera or smartphone. 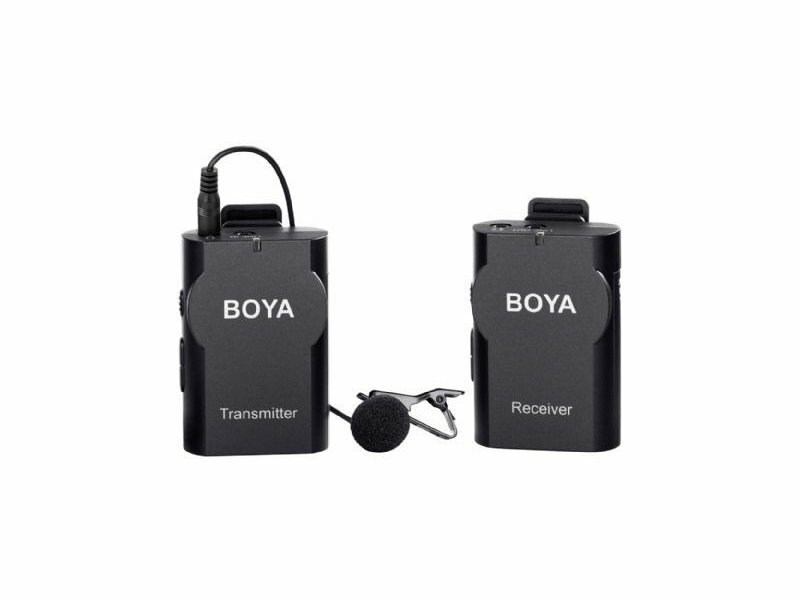 The lavalier microphone is clamped to the cloths with the supplied clip, after which the 3.5mm cable is connected to the transmitter. 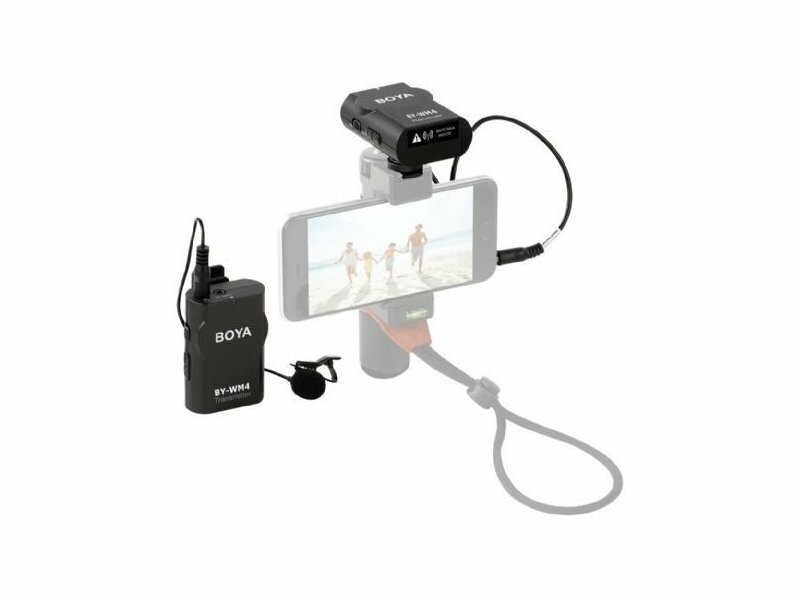 For the receiver, a 3.5mm cable for cameras and a 3.5mm cable for smartphones are included. 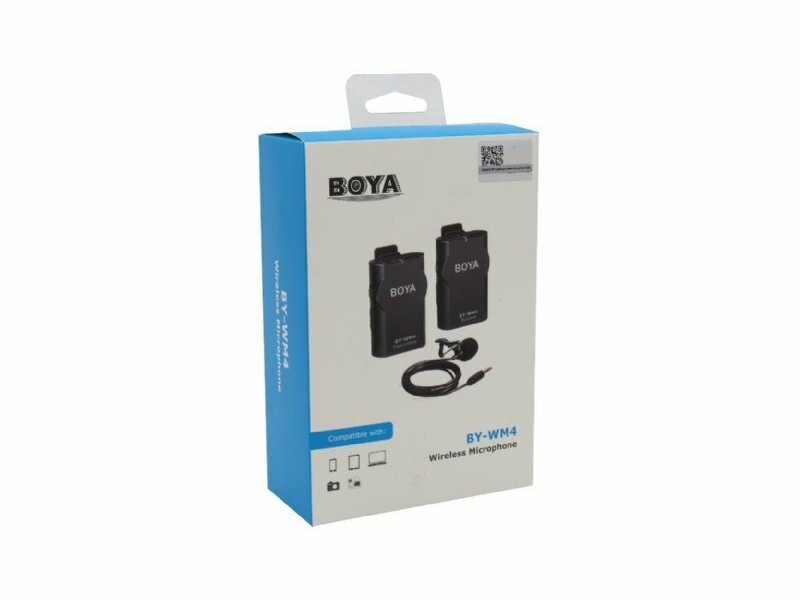 When using an iPhone 7 or later, use the Lightning to mini jack cable, which comes with your iPhone.